Fortnite creator Epic Games has opened an online store to sell video games for PCs. The store has been set up to rival the massive online Steam run by developer Valve that offers thousands of PC games. Epic said it would charge less commission for listing games, so more cash would be returned to developers. So far, only three games from other developers are available, but Epic plans to expand the list quickly. All three are new games. 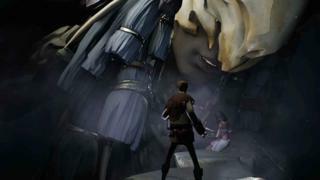 Hades, from the Supergiant studio, was unknown before appearing on the service. Three other games that were released some time ago – Darksiders III, Subnautica and Super Meat Boy – will soon be added to the catalogue. Both Subnautica and Super Meat Boy will be free to play for a few weeks. Epic said it planned to give customers a free game every fortnight. Speaking to tech news site Ars Technica, Epic boss Tim Sweeney said the store would expand “more broadly” in 2019. He said Epic’s process for adding games to the service would focus on the “technical side of things and general quality”. The only types of games it would restrict would be those featuring “adult-only” content. Top players of the hugely popular Magic: The Gathering card game will soon be able to take each other on in two separate pro-leagues. Overseen by Wizards of the Coast, which created the game, these will let players of the physical card game and its PC equivalent compete for a slice of a $10m (£7.8m) prize pot. The Magic Pro League will include 32 of the world’s best players of the game who will compete in weekly matches as well as major tournaments. The first tournament will take place at the Pax East gaming show in Boston in 2019. Wizards said $1m in prizes would be up for grabs. The main page for the Epic store lists another nine games as “coming soon”. These include Journey which before now had been a Sony PlayStation exclusive. Many of the others are already released and are available via Steam and other online stores. Epic said it aimed to differentiate itself from Steam by only taking a 12% commission on sales. By contrast, Valve asks for 30% of the money paid for games sold via its service. The “much more generous offering” had sparked interest among independent developers, wrote Dustin Bailey on the PCGamesN website. “Exactly how that pans out in the long term remains to be seen, but this is a promising start,” he added. Currently, the Epic store is by no means a significant rival for Steam which has more than 20,000 games in its catalogue and regularly has more than 18 million people online playing via its service. It is believed to have about 125 million registered users. However, Fortnite is hugely popular and has a global player base of about 200 million people. At its most popular, about 8 million people were playing the game at one time.